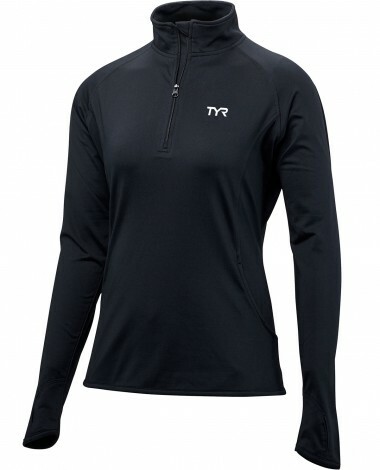 For life outside the water, gear up and keep warm in the TYR Women's Plus Alliance ¼ Zip Pullover. Offering heavyweight breathability and 360 degree range of motion, this pullover provides an added layer of coverage for cooler conditions. Constructed to include a ¼" zipper, advanced moisture wicking technology and a classic brand logo, the FPLS6X maintains a comfortable hold on the body and is ideal for early morning or outdoor workouts.